All the fabric is cotton and the batting also is cotton. I used water soluble stabilizer to make the hearts. 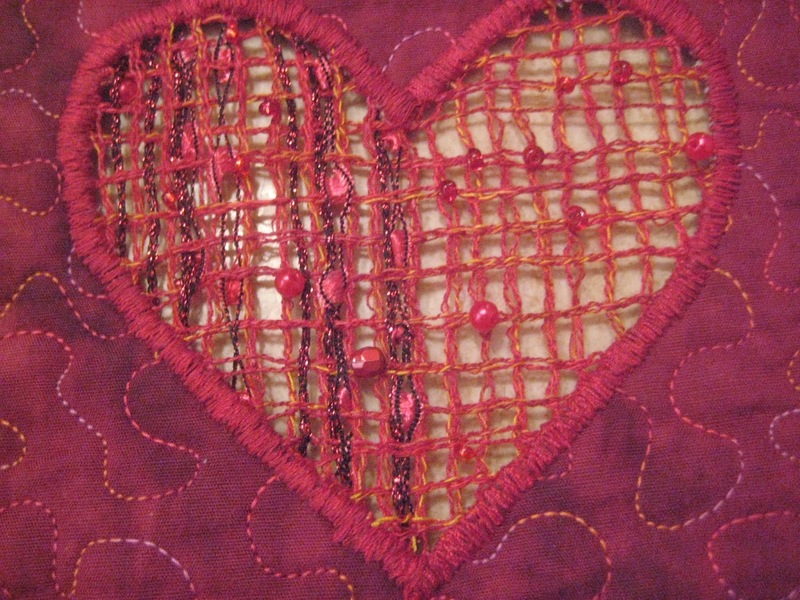 The hearts are embellished with beads, ribbons and yarn. Very pretty. I like the way you did those hearts.